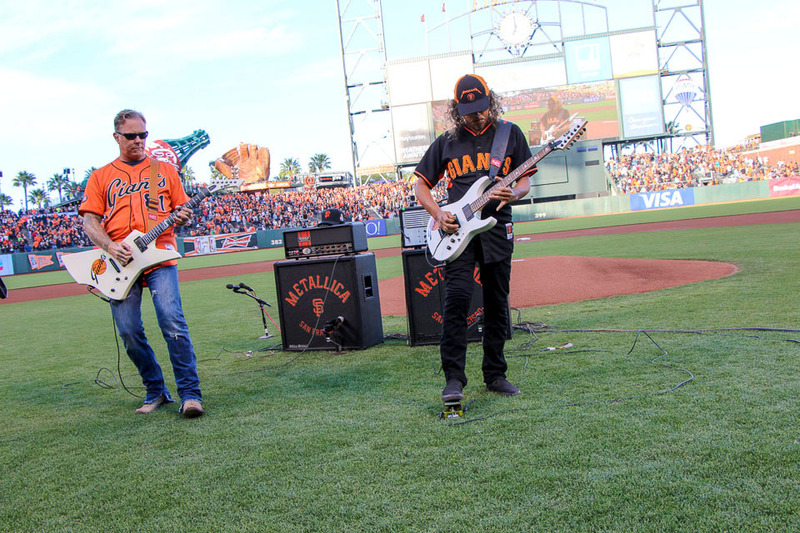 On May 17, 2014 Metallica got on the field at Giants Stadium and rocked the Star Spangled Banner. The San Francisco based band Metallica has made quite a name for themselves. I think they are the longest lasting heavy metal band. Last month the Black Album went 16X platinum. That means it is the highest selling heavy metal album of all time, but more importantly it is the highest selling album of all music. 16 million copies wow that incredible. I liked the Black Album too, I always hear songs off that album. Some say that it is their last good album.